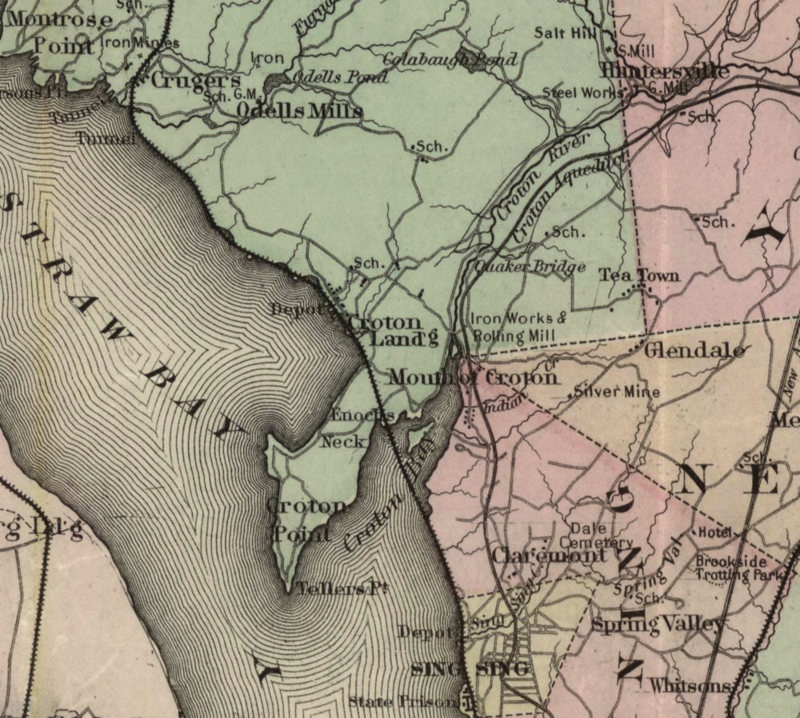 Detail of the Croton area from Colton’s Map of the County of Westchester. Drawn, Engraved and Published by G.W. & C.B. Colton & Co. 182 William St. New York. 1886. The entire map is available online at David Rumsey Map Collection.